Browse all Vanguard Lofts for sale and real estate in Sarasota, FL below! Deciding to make the move to Sarasota, Florida is a decision that many are choosing letting them live life at the finest. Stunning properties, waterfront views, and beach access are just a few of the reasons that Sarasota has become a mecca for the affluent buyers in today's market. Whether it is golf, fishing, or boutique shopping that draws people into the area, the charm of the community is what brings them back to stay. Condo living gives new buyers the chance to experience carefree living with perks and amenities galore and access to all the water sports and beach fun anyone could desire. These Versailles real estate listings are updated every 15 minutes from our MLS system. Contact us if you would like assistance buying or selling property in downtown Sarasota. Read more about Vanguard Lofts. 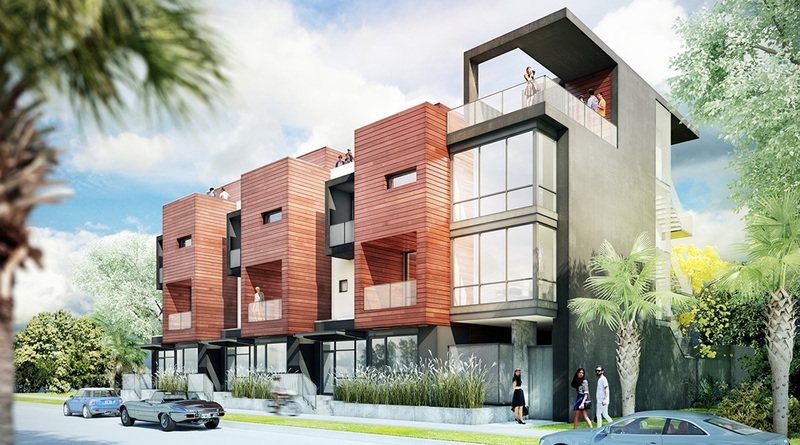 Condos in the Vanguard Lofts are only available for a limited time. People who want to enjoy the luxuries in life and have access to all of the entertainment and dining need to act fast if they want to live in these condos. With brilliantly designed floor plans, spectacular landscaping, and exquisite views of Sarasota Bay, there is no reason to wait. Access to the bay is quick since it is only a short two blocks from the condos. At night, residents are treated to a superb skyline view that makes the perfect backdrop for beach parties, private dinners, and relaxing nights in the evening. Every unit in the Vanguard Lofts has a balcony or patio where residents can enjoy their morning coffee or a glass of wine after a long day at work. The Historic District of Rosemary District offers an excellent place to shop and explore for those that are interested in the old-world charm of the city. The lofts are near the bus for people that want to help maintain the beautiful environment. One of the best features of this property is that it is only a few blocks from Downtown Sarasota giving locals convenient access to every kind of cuisine imaginable along with shopping in unique stores and magnificent boutiques. Inside the condos, residents have access to premium amenities like cathedral ceilings, breakfast bars, and formal dining rooms. Thermal windows and central air keep everyone cool on the hottest summer days while electric heat is wonderful on chilly Sarasota nights. There is plenty of room for storage with extra closet space, a pantry in the kitchen, and outdoor storage. Pets are allowed in the units, and secure parking is available. Some units have two car garages and first-floor master bedrooms for added convenience.